Expand search to view more listings in and around Los Angeles. See more offices in and around Los Angeles. 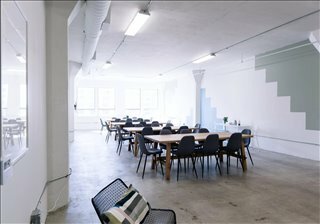 We feature a range of flexible office space solutions in and around Los Angeles that are available on easy rental and conventional lease terms. 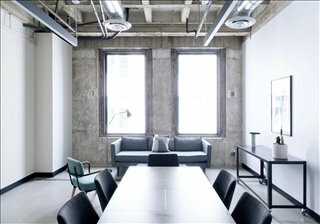 Whether you're looking for an executive tower in Downtown Los Angles, a film studio in one of the Downtown Arts District's creative spaces, a satellite office in Studio City, shared workspace along Santa Monica Boulevard or industrial space in Mar Vista we have the Los Angeles commercial space for you. 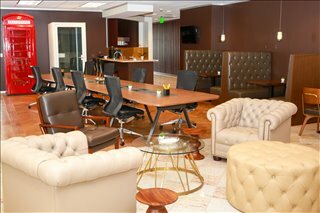 Executive Office Suites & Private Office Space for Rent: Our executive and private office suites provide an easy solution to working in LA and, in many cases, offer the option of increasing or reducing the amount of space rented at very short notice. This type of flexibility can help you to keep overheads under control as you only pay for the space you need. When you need more - or less - office space you can adjust your contract at short notice. 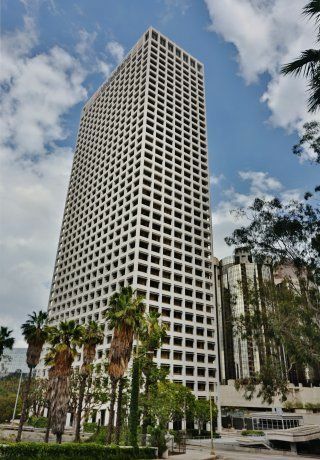 Many of the LA office buildings and business centers we feature, such as the Howard Hughes Center on Center Drive in Downtown Los Angeles, the Sepulveda Center on Sepulveda Blvd or the Olympic Plaza on Olympic Blvd in the heart of West Los Angeles, provide a range of facilities and support services that often include free car parking, bike rack facilities, all-hours access, dining facilities and break out areas, a staffed reception and on site IT support staff, high speed internet and WiFi, and lounge and meeting room services. 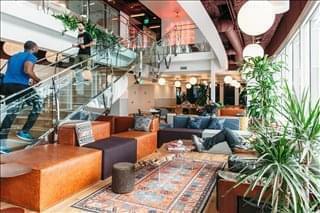 Creative Office Spaces and Shared Office Space: As the country's creative capital, LA is home to a thriving media and entertainment sector and boasts some of the best creative workspaces and shared space to be found anywhere. 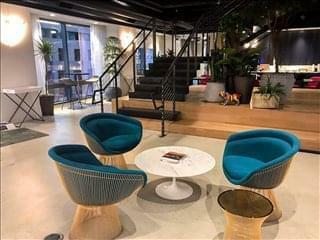 Typically housed in fully serviced office buildings or dedicated cowork spaces, the shared workspace and creative office spaces in Los Angeles featured on Offices.net come with a host of included facilities, amenities and services as standard, with optional extras that you can pay for as and when you need them. 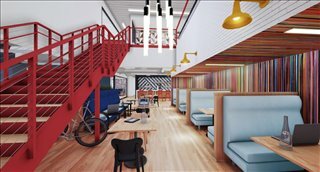 Experience the ultimate in workplace flexibility with these collaborative and creative offices in Los Angeles. 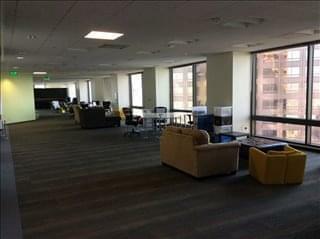 Virtual Offices: Need a Los Angeles business address but not the space? Do you travel a lot and just need an office or a place to meet clients once a month? Do you need a professional receptionist to take your calls and collect your mail? 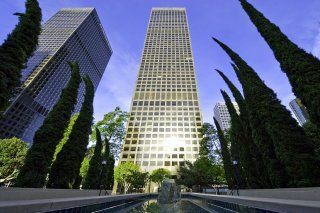 Many of the serviced office buildings and business centers we feature offer virtual office services and solutions, enabling you to acquire a prime business address in Los Angeles at a very affordable price. No matter what type of office space solution you need, we can help. Simply choose any of the Los Angeles offices listed above or give us a call and our LA experts will search our extensive database for you and help you secure the perfect office space at a price you can afford. 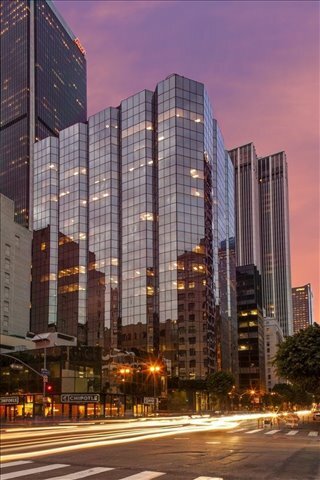 The Los Angeles commercial real estate office market is mostly comprised of conventional commercial spaces for lease, especially in the central LA business district, where there is a large cluster of insurance, finance, and real estate firms. City-wide, demand for office space is mainly driven by the creative sector and is particularly high in Manhattan Beach and El Segundo, whereas the larger office units in the Hollywood sub-market cater to entertainment, media and, to a lesser extent, technology firms. Demand is also strong in Bunker Hill and West Los Angeles (including West Hollywood and Playa Vista), but when looking for moderate rents, business owners tend to search for properties in North Los Angeles, San Gabriel, and Glendale. 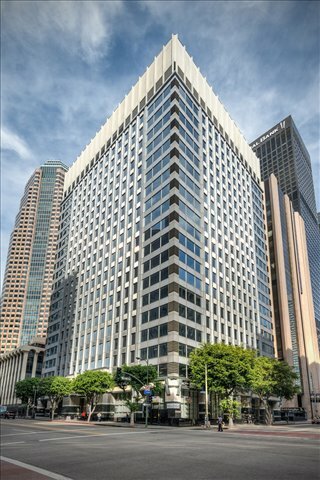 Alternatively, Class B offices in Mid-Wilshire are also a moderately priced option considering their central LA location. 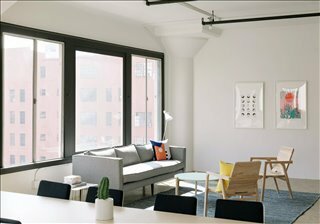 In Downtown Los Angeles, office space availability is on par with the city's average and Class A rents are usually above $40 / sq ft / year, although the highest priced offices are in West Los Angeles, with rates of over $55 per square feet per year being quite common. 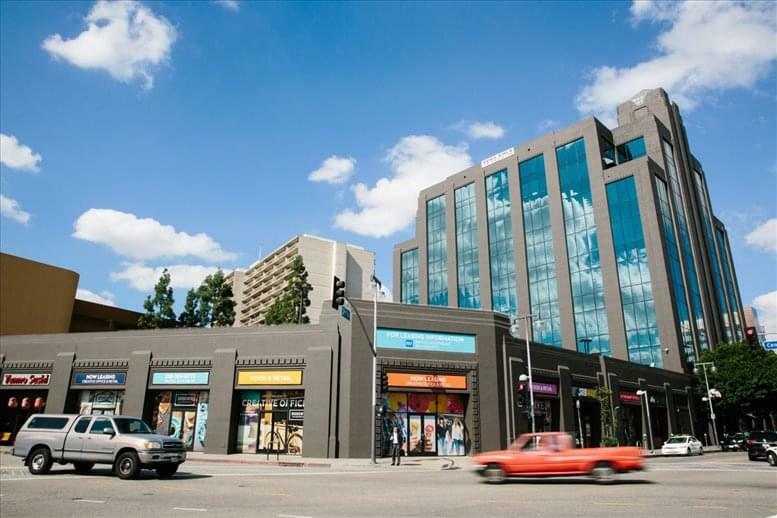 The shared space that is available is on the rise and is partly responsible for a drop in vacancy rates in areas like Downtown LA and West Los Angeles. 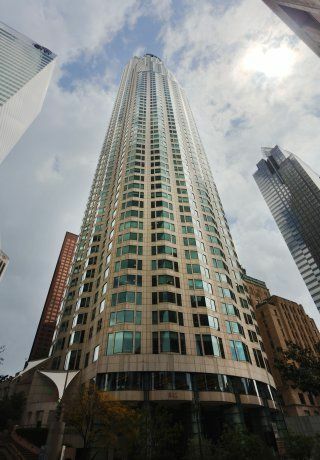 West and North Los Angeles have the highest number of office buildings (with more than 400 in each), the most notable of which are the US Bank Tower, Aon Center, and 2 California Plaza. 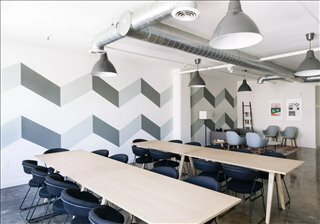 We have flexible office centers offering executive office suites, furnished offices, creative office spaces, hot desks and shared office space in Los Angeles, CA. This workspace comes fully furnished with cabling and telecoms already installed. Many of the office centers also provide a professional range of business supports and facilities to make it easy for you to simply move in and get busy working. 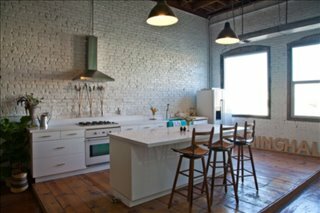 All of the office space listed on this site is in an ideal location, and is available for instant rental on flexible terms. Contact us now by calling 1-877-693-6433 or fill out the quick quotes form and we'll get right back to you. The city of Los Angeles is the second largest metropolitan area in the United States and boasts a resilient economy. With a GDP of over $900bn, the city has one of the world's largest economies and ranks high in the Global Economic Power Index. Major Industries: Education and health services have traditionally been key industries in the city, but in the past few decades Los Angeles has become a hotbed for tech-related and creative economic activities and has been labeled as the creative capital of the United States, since more than 400,000 people work in this sector. Other important industries are fashion, aerospace, telecommunications, tourism, and legal services. 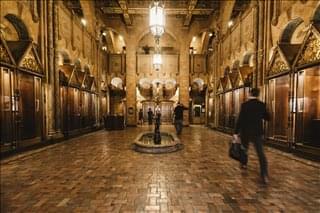 Key Employers: The federal government and the City of Los Angeles employ more than 40,000 people each. Other important providers of office-based employment are Kaiser Permanente, Northrop Grumman, Providence Health, Bank of America, Wells Fargo, Boeing, and Walt Disney. 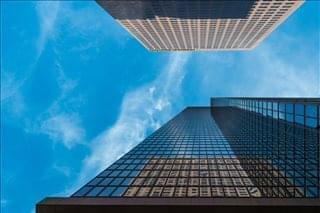 Los Angeles is also home to Fortune 500 companies such as Aecom, CBRE Group, Health Net, and Reliance Steel & Aluminum. Employment Trends: Unemployment has been on a declining trend for years and is expected to keep dropping. Currently, the city has an active workforce of nearly 4.5 million and a vast concentration of talent and skills, as Los Angeles attracts young graduates from all over the US. However, a University of California report revealed that employers struggle with talent retention due to elevated living costs. Small Businesses: Los Angeles has a dynamic business environment bolstered by above-average consumer confidence and a high per-capita income. As a result, the city ranks number 5 in the nation in terms of the revenue generated by small businesses. But issues exist and owners of small businesses cite a complex taxation environment and high minimum wages as common challenges to long-term business survival. Overall, Los Angeles ranks in the mid 40s out of a total of 74 US cities in the Cost of Doing Business Index. Los Angeles, the City of Angels, is the second largest in the United States and the largest in California. Recognised as a Global City, the Greater Los Angeles Area is one of the most populous in the world. The city is one of the few that have hosted the Olympic Games more than once - first in 1932 and again in 1984. Diverse and world famous, Los Angeles is known as the entertainment capital of the world thanks to its long association with the film and television industry. Los Angeles is one of the United States' largest manufacturing centres. The Port of Los Angeles, Port of Long Beach, and Los Angeles International Airport make LA a significant transportation hub. A company in almost any sector will find Los Angeles a thriving place to do business and an excellent place to rent offices. 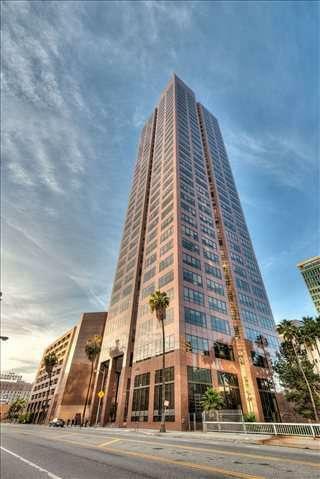 There is more Los Angeles office space available than ever before with prices to suit every budget. No matter what type of workplace solution you need, you'll find private and office space for rent and offices for lease on Offices.net. Call us now, we want to help you find the perfect LA office space.